The BBC has announced that Poldark season five will conclude the series’ run. The fifth and final season is set to air in 2019. While season four ended on a cliffhanger, writer Debbie Horsfield (Age Before Beauty, The Riff Raff Element) explained how she plans to approach the show’s final season. 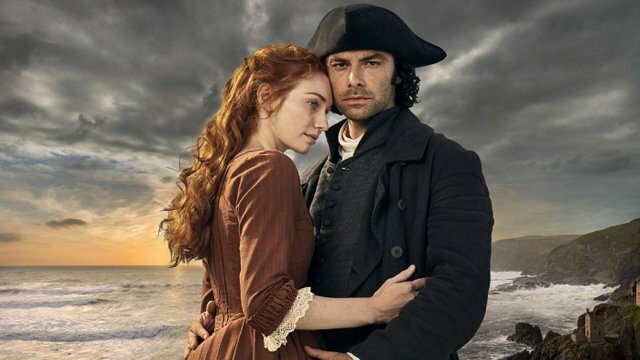 When Poldark hit the airways in 2015, viewers were immediately captivated by its sweeping romance and shocking plot twists. The show tells the story of a titular hero, Ross, his wife Demelza, and his former love Elizabeth. As they struggle to survive in an 18th-century Cornish mining town, fortunes are made, love blossoms, and class struggles abound. This show touched on everything from the romantic to the tragic. Aidan Turner (The Hobbit trilogy) and Eleanor Tomlinson (The Illusionist) will return as Ross and Demelza Poldark for season five, along with regular cast membersJack Farthing (The Riot Club), Luke Norris (The Duchess), Gabriella Wilde (The Three Musketeers), Ellise Chappell (The Last Dragonslayer), Harry Richardson (Dunkirk), Tom York (Tyrant), and Beatie Edney (Highlander). New cast members joining them to close out the show’s run are Lily Dodsworth Evans (Genius), Kerri McLean (The Ritual), Vincent Regan (300), Peter Sullivan (7 Days in Entebbe) and Freddie Wise (Maleficent 2). Based on the series of 12 novels by author Winston Graham, Poldark is adapted by Horsfield, produced by Michael Ray, and directed by Sallie Aprahamian (Doctor Who) and Justin Molotnikov (Stan Lee’s Lucky Man). Horsfield will continue to serve as executive producer alongside Karen Thrussell and Damien Timmer for Mammoth Screen and Elizabeth Kilgarriff for the BBC. Poldark season five is set for production in Cornwall, Bristol and nearby areas. The post Poldark Season 5 Will Be the Final Season For the Series appeared first on ComingSoon.net.